Practica Gordinij dicta Lilium Medicine. 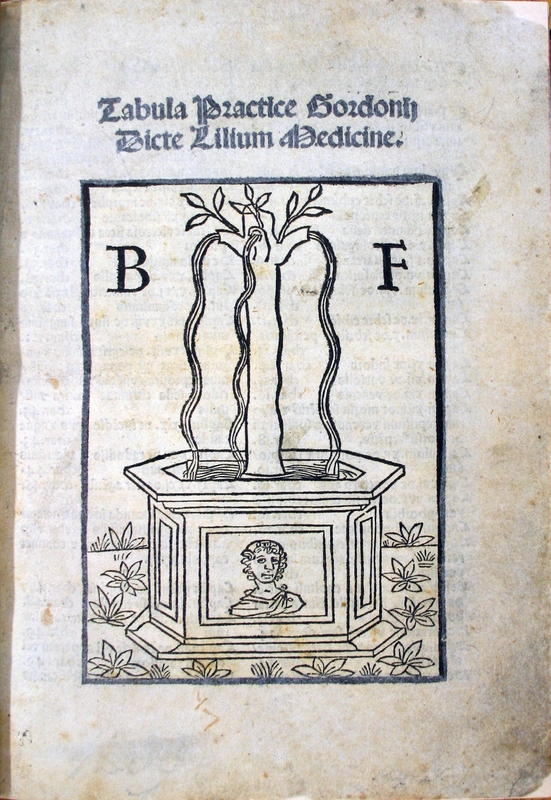 Title as cited by ISTC: Practica, seu Lilium medicinae. 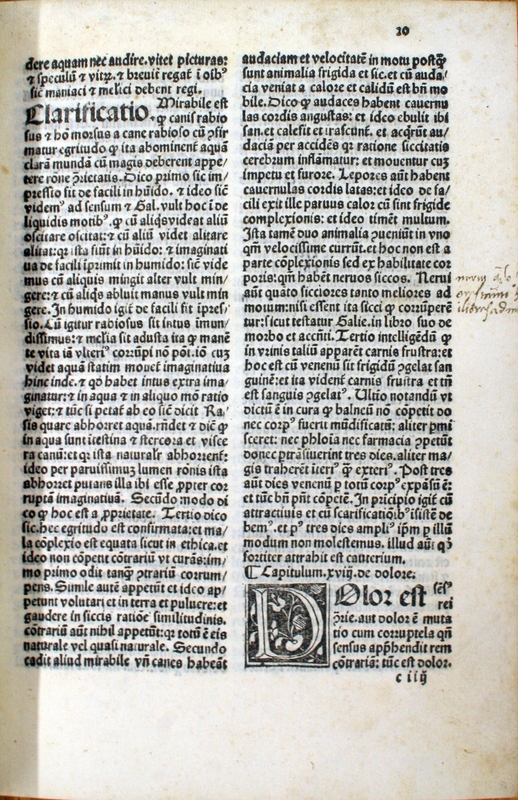 De ingeniis curandorum morborum. De regimine acutarum aegritudinum. De prognosticis. 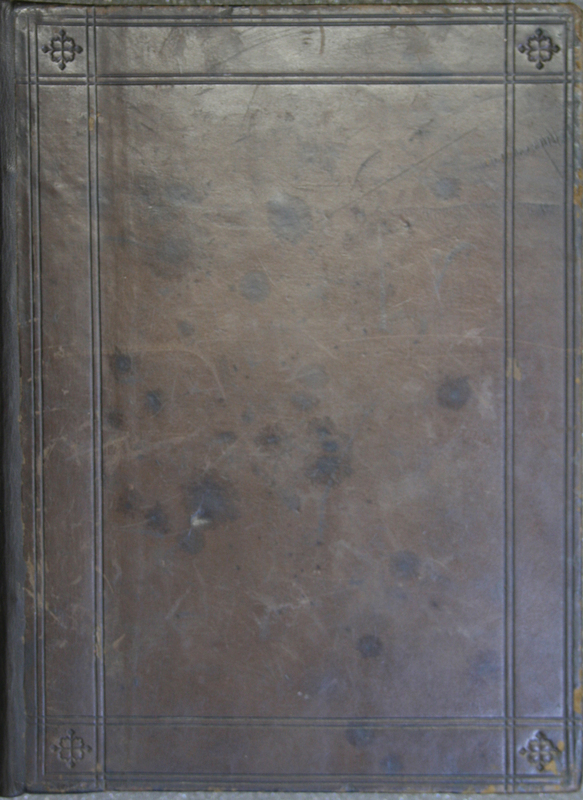 Provenance: Samuel & Benjamin Nock, booksellers, London (mid 19th century): booksellers’ ticket on verso of front free endpaper “S. & B. Nock, Medical Booksellers, 16, Bloomsbury Street, London”. Royal College of Physicians & Surgeons, Glasgow: armorial bookplate on front pastedown “Library of the Faculty of Physicians and Surgeons Glasgow” bearing superseded shelfmarks in ink “48 C 19” (scored through) and “90 g.11”; possibly purchased by the College in 1869/1870 since the Librarian’s annual reports in the Faculty minutes of 1869 and 1870 both make special mention of purchases of “works of the older medical authors”; source unknown; first appears in Alexander Duncan’s 'Alphabetical catalogue of the library of the Faculty of Physicians and Surgeons of Glasgow' (Glasgow: 1885). 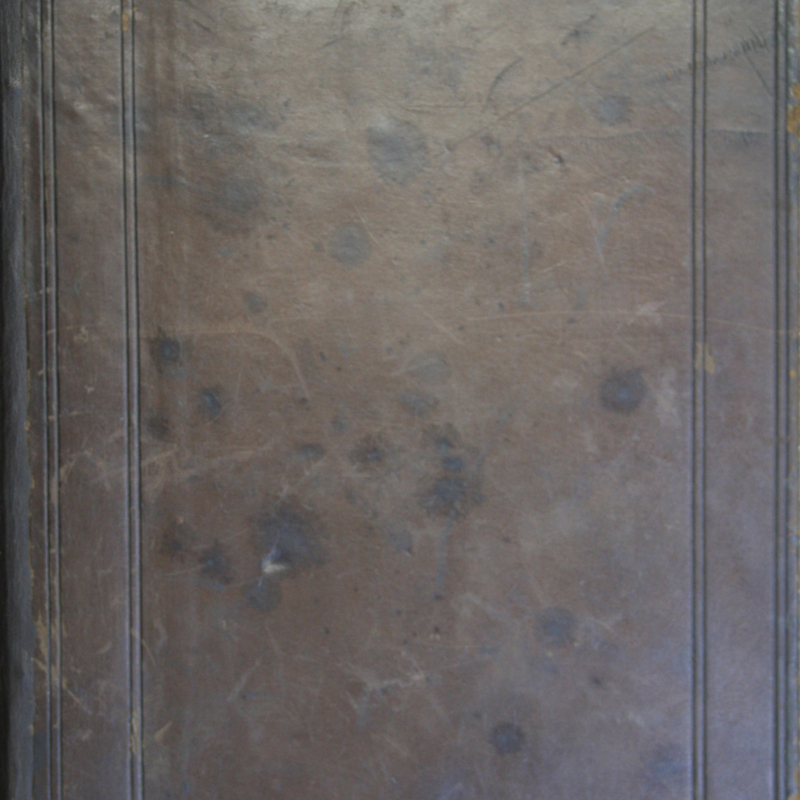 Binding: 19th-century blind-tooled brown calf; marbled endpapers; red-edged leaves. Brief (slightly cropped) marginal annotations in a 16th-century hand in gatherings a-c. Wanting the blank leaf H8; minor paper repairs to title-page [*1r]. Signatures: 4to. [*]4 a-z8 [et]8 [con]8 [rum]8 A-H8. 2-271  leaves, the last blank. Anno d[omi]ni. 1496. die i6. Ianuarij. [16 Jan. 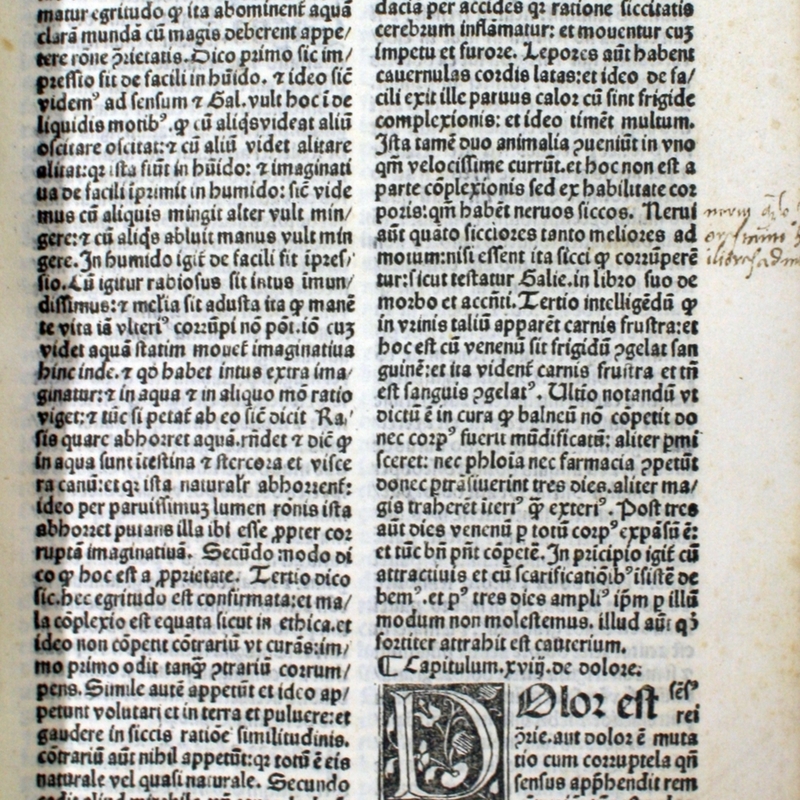 1496/97.]. Leaf size: 206 x 145 mm. Binding: 212 x 155 mm. 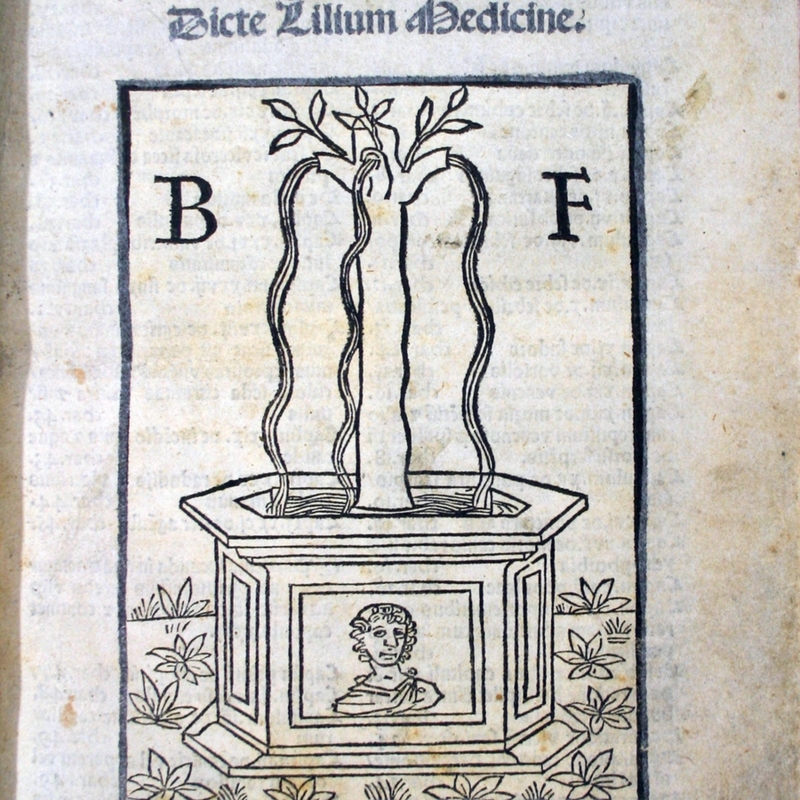 Bernard, de Gordon, approximately 1260-approximately 1318, “Lilium medicinae,” Heritage, accessed April 23, 2019, https://heritage.rcpsg.ac.uk/items/show/813. Description: Practica Gordinij dicta Lilium Medicine. Date: Anno d[omi]ni. 1496. die i6. Ianuarij. [16 Jan. 1496/97. ].